It’s been while since I last posted here at 2nrs blog. I sold my KH2 Nissan Skyline GT-R a year ago and I haven’t got any “proper ride” since that. Instead I’ve build couple bikes. The first was this 750cc Ducati Monster. Both bikes were bought as crashed and then rebuilt something with a new styling clues, just to stand out from the crowd. The bikes are now sold on and I got something with a four wheels again. 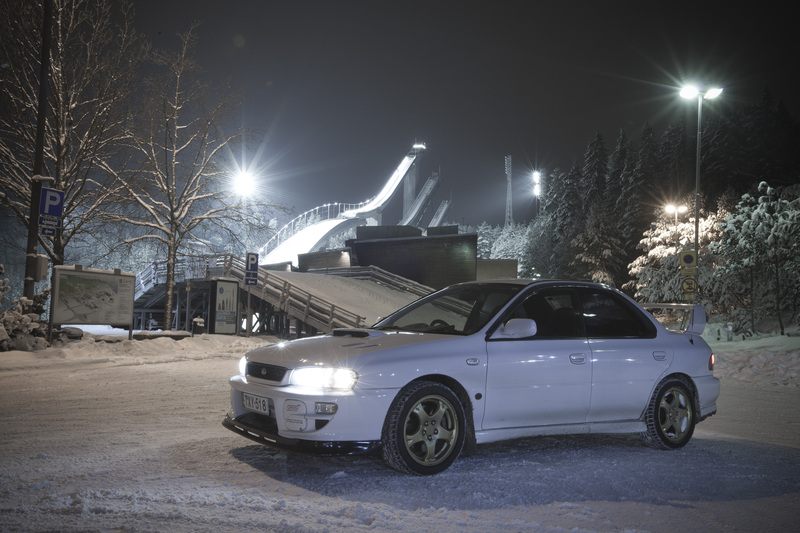 It’s a Subaru STi V5 -98 for the winter funfactor purpose. So more about that Subaru in the near future… stay tuned.